At the Wilson and Rosslyn voting precincts in Rosslyn this morning, voting was going smoothly. I arrived at 7:25am, and got in a long line. 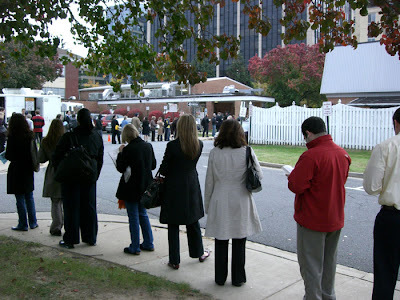 But the line moved quickly and I voted at 8:05am. The voting was well organized. 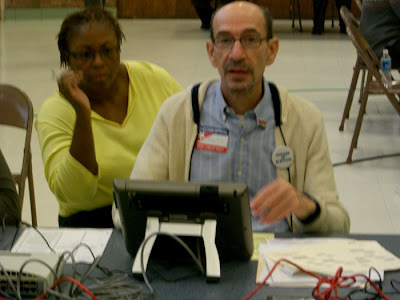 Many paper and electronic voting stations were in use. For the first time, voting registration was checked with flatpad computers, rather than large paper registration books. Overall, an impressive operation of democracy.